Following last month's announcement that Turn: Washington's Spies will kick off Season 2 on a new night and time on Monday, April 13 at 9 PM ET on AMC, the cable network has released a trailer with all new footage. 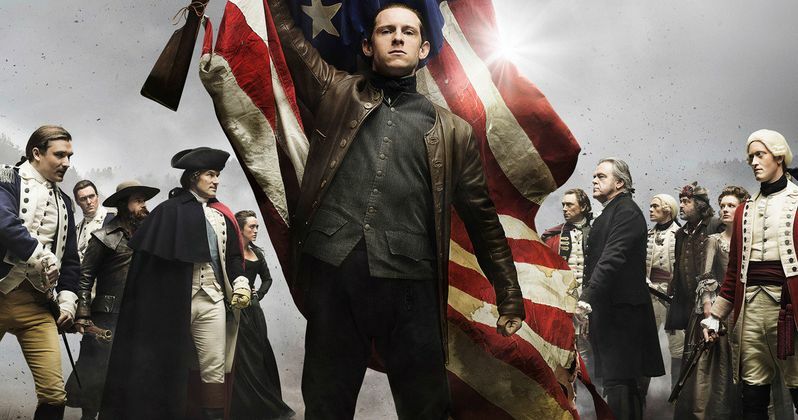 An AMC Studios production, Turn: Washington's Spies stars Jamie Bell (Flags of Our Fathers, Snowpiercer, the upcoming Fantastic Four) as Abraham Woodhull, a farmer living in British-occupied Long Island during the Revolutionary War, who bands together with a disparate group of childhood friends to form the Culper Ring - America's first spy ring. Season 2 of Turn: Washington's Spies moves deeper into the battles waged by soldiers and civilians alike in the pursuit of freedom, and the sacrifices they're willing to make to secure it. As Abe becomes more committed to the Culper Ring activities, George Washington (Ian Kahn) battles both personal demons and betrayal from within his ranks that threaten not only his leadership but the fate of the revolution. As the colonies struggle to become a nation, the outcome of the revolution will hinge on alliances both on and off the battlefield. Alexander Rose, whose book Washington's Spies served as the basis for the series, joins the writing staff for Season 2. The series also stars Seth Numrich as Ben Tallmadge, Daniel Henshall as Caleb Brewster, Heather Lind as Anna Strong, Kevin McNally as Judge Richard Woodhull, Meegan Warner as Mary Woodhull, Burn Gorman as Major Hewlett, Angus Macfadyen as Robert Rogers, JJ Feild as Major John André, Samuel Roukin as Captain John Simcoe and Ian Kahn as George Washington. Joining the cast for Season 2 are Ksenia Solo as Peggy Shippen and Owain Yeoman as Benedict Arnold. Take a look at the latest footage below before Turn: Washington's Spies debuts next month on AMC.